1. Find Free Events: Most cities host free events, so pay attention and make the most of them! Then, to keep yourself from overspending on pricey fair food or tourist trinkets, bring your own drinks and snacks, and/or try to eat before you go, says Sarah Deveau at Stretcher.com. 2. Plan a Game Night: From Settlers of Catan to good, old-fashioned Monopoly, pulling out board games can be a great way to have inexpensive fun with a group of friends. Make some popcorn, order a pizza and spend the night trying to win the game of your choice. 3. Host a Craft Night: Pick some Pinterest projects, gather cheap supplies and invite a floor full of friends to crash at your place one night while you all craft together. Instead of going out and spending money, this activity makes the most of what you probably already have — a dorm room and some time on your hands. 4. Play Capture the Flag: A large group of friends split into two teams, some form of flags (whether they’re toys or paper towels) and a little creativity is all you need for Capture the Flag, an age-old game that involves territories, tagging and teams. According to Listverse, the most traditional version of the game has two teams, each one with a flag to guard and a jail into which prisoners (tagged members of the opposing team) get placed. 5. Work Out: At first glance, going for regular runs or attending yoga in the park might not sound like fun — but it’s a great way to get endorphins flowing, meet other people and stay healthy in the process. Whether you find a buddy to go walking with twice a week or join a free community or school program, find ways to be active, both for the physical and mental benefits! 6. Go to School Sporting and/or Cultural Events: At a lot of schools, sporting events and musical performances are free for students, so go show some school spirit at football, basketball, baseball, soccer and volleyball games! Attend university orchestra concerts, check out the free reading on the other side of campus and make the most of your school’s free fun. 7. Have a Movie Night: Grab your roommates, best friends or anyone in your building and run a back-to-back movie marathon with a theme. Whether you grab a few flicks from Redbox, check out Netflix or pull DVDs from your personal stash, this night of relaxing at your apartment or dorm room won’t cost a bundle. 8. Go Thrifting: College is a great time to explore secondhand clothing and quirky thrift stores. Go with some friends and give yourself a spending limit of $10 or $15 — then see what you can find! 9. Get Cooking: Nobody has to tell you that eating out all the time adds up fast, so skip a restaurant now and then and use your college years to teach yourself how to make some basics. Whether you follow along with a cooking show or try a blog recipe, experiment in the kitchen with a friend and enjoy eating the results together. To make it even more interesting, try hosting a bakeoff with a group of people, says blogger Joy Pedrow. 10. Enjoy the Outdoors: From a Saturday at the park with a book and a blanket to a weekend with your buddies camping in the wilderness, getting outside is a great, cheap way to enjoy the day. Having fun and hanging out with friends is a major part of the college experience —and, thankfully, it doesn’t have to cost a fortune to do it. Use the ten ideas above to get started thinking of cheap ways to get out! 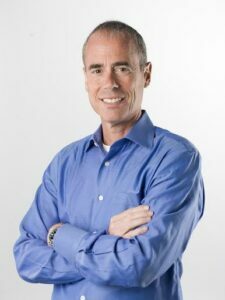 Mark Westerman is the Chief Marketing Officer for a provider of debt relief services nationwide, CareOne, Inc..